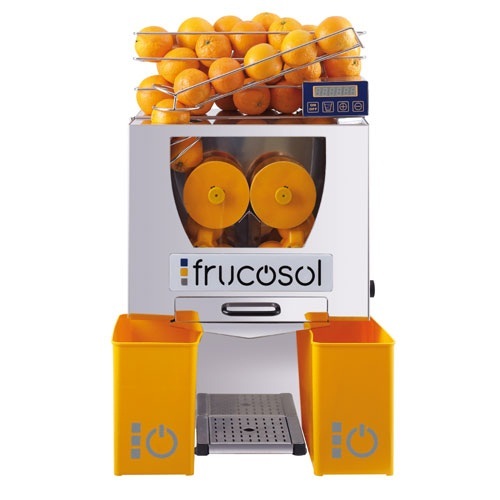 The Frucosol F-50C easily produces lots of top-quality citrus juice in a stunningly designed, small, yet technically-advanced machine. 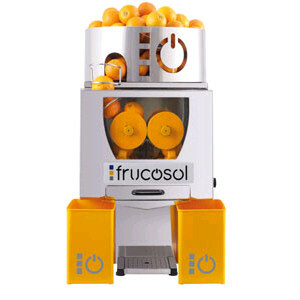 Simply load the oranges in the feeder chute on top and get freshly-squeezed juice below. 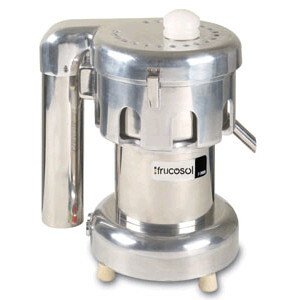 Provides an excellent presentation for any restaurant, bar or coffee shop. 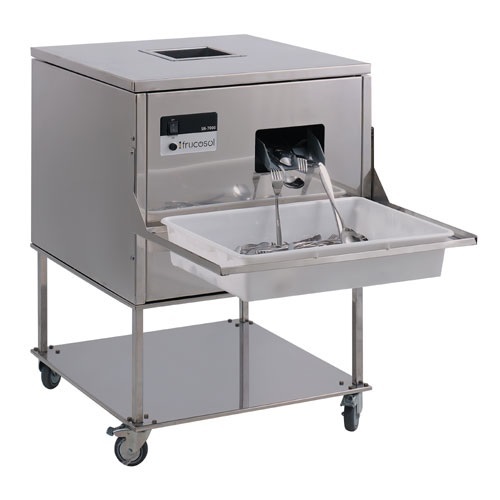 • Digital Fruit Counter – equipped with a digital fruit counter.